Come join Edward Travi and his friends as we celebrate the release of a project based off of a collection of soundscapes that took 3 years to finalize! Project rebEarth is facilitating a space featuring multiple worldwide & local artists/practitioners who will be revolving around a series of soundscapes inspired by the mysteries of the world and the studies of the different vibrational forces of life. Live guided improvisational world music performed over a series of Soundscapes, ecstatic dance, yoga, guided meditation, visual arts including photography/videography, free standing sculptures, and vegan culinary dishes prepared by a pro chef; simultaneously happening, it’s your choice of how you want to experience the evening, you can dance, or simply be. Brian Slaughter & Societas Arte Sacra Atelier, painting the air with the sounds of destruction (earthquakes) transitioning into the calming sounds of the ocean, both performers using electronic and raw sounds inspired by metal sculpture by Cherice Lucero a creation inspired by the soundscapes of rebEarth's Mindful Journeys. This is only the beginning, the sprout from a seed that was planted 3 years ago, literally the tip of the iceberg. In general, I love people, bridging gaps between dreams and reality, helping, collaborating with fellow artists, listening, but most importantly befriending others. Throughout these past years of honing into my passions, creations, studying sounds and the mysteries of the world we call home, I have strengthened bonds with individuals who are not only genuine people, but amazing artists in their crafts, these people live to create a better tomorrow and align well with my mission, and I look forward to celebrating life with everyone who shows up. I dedicate my compositions of this project to Earth, friendships, and the 28 years of my existence! Intuitive Living has a special treat for you in the month of April! Join Michelle Mullady in this stunning location for a "Reiki Healing Circle” group meditation experience. Reiki is a beautiful energy healing art offering beneficial, calming, balancing and stress-reducing effects. A Reiki experience may help ease tension and anxiety and may help support the body to facilitate an environment for healing on all levels- mental, physical, emotional and spiritual. ​Come embrace the surprising connections between you and the universe. This event is for everyone ... whether you are a complete beginner, had some experience before or are interested in exploring beyond your mind, emotions, and physical body with pure energy meditation and healing breathwork. Join us in this meditation sacred circle to learn more about new ideas and techniques that will support you on your path of transformation and evolution followed by gentle discussion. This is an outdoor event. Please bring a chair, yoga mat, blanket, or cushion to sit on and fresh water to drink. Take some time after the meditation to enjoy the tea garden grounds and visit the Jingu House for 10% off on your food and refreshments order. Investment in yourself: $10 per person with a portion of the proceeds going to support San Antonio Parks Foundation. the warm and nurturing touch that I offer. Chakras and major systems of the body are given concentrated life force energy, enhancing overall well-being. Thank you Michelle for the life enriching experiences I have received as a participant at your sacred circles. 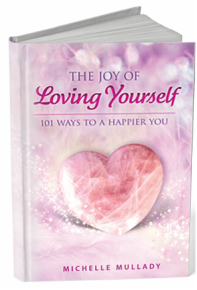 Michelle has done a great job at creating a safe environment for women to come together for spiritual evolution. The events are always well organized in a beautiful and comfortable setting. Michelle is open for the right experience for everyone in the group. She is a gentle, knowledgeable and inviting. I feel like I've known the women that attend for years and I’m as invested in their experiences as I am in mine. With the guidance of Michelle we are led through personal growth and spiritual transformation unlike anything I've experienced elsewhere. Most parts are fun and fulfilling as only women can experience. Other parts are challenging and moving, but always rewarding. It’s exciting for me to have the opportunity to be a part of this spiritual adventure!!" When I first met Michelle Mullady I knew we were soul sisters from the sparkles in her eyes and the glow of her aura. Her energy therapy and intuitive gifts are phenomenal! I am honored to be part of her healing events. The feeling of unity that manifests for all the particpiants in the group is energizing, uplifting and promotes an inner peace. Through working with Michelle, I have grown by leaps and bounds. I have become in tune with my Higher Self. 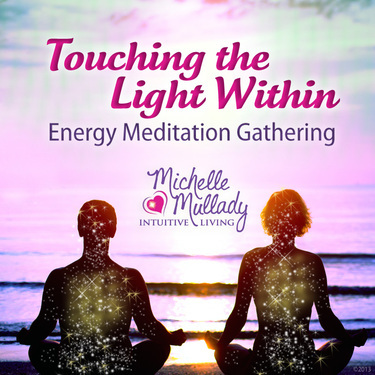 I invite everyone to join the monthly gatherings and experience their own transformation through Michelle's guidance to Spirit. Thank you, Spirit, for Michelle." See more testimonials on the Testimonials page. Schedule an appointment by calling my office at 1-210-501-9582 or email me.